My little 9th graders graduated from Junior High! 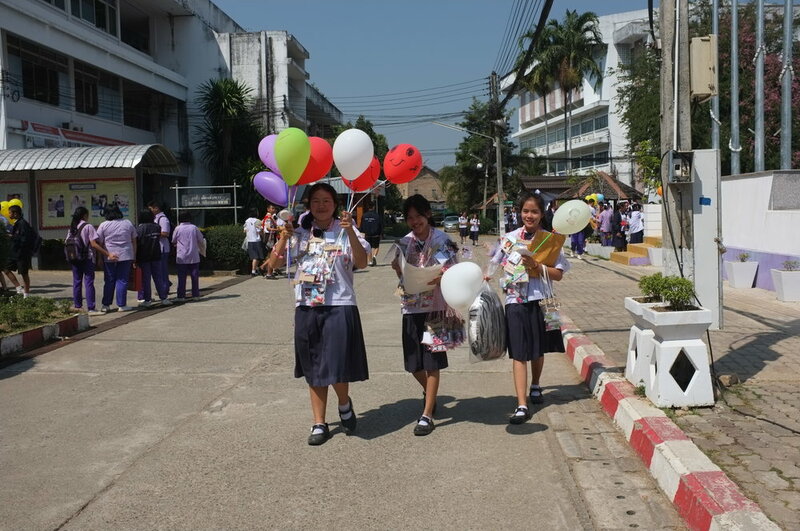 Graduation is totally different in Thailand and I loved it! Graduation is combined for 9th graders and 12th graders. 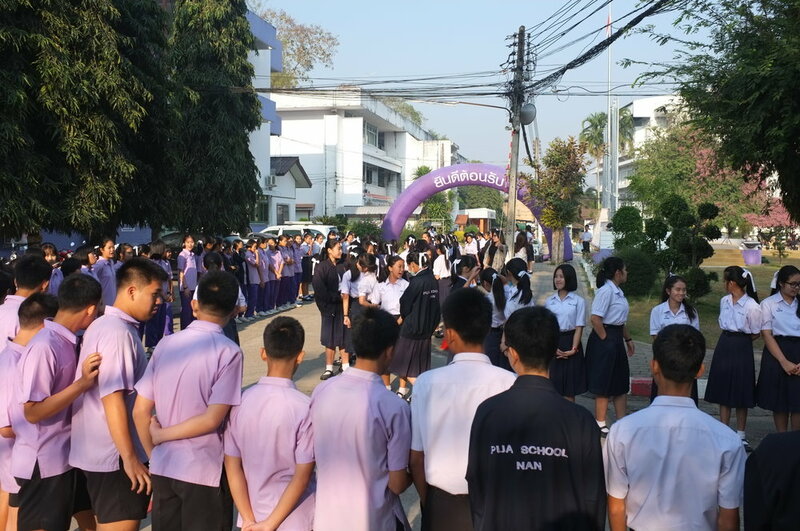 The ceremony starts when the entire school lines both sides of the road to the gym, where graduation is held. All the kids sing a song as their peers parade between them two-by-two. Kids walk with their class- the same kids they shared every class together throughout high school. Once all the kids reach the gym, speeches are given, students are blessed by monks, and then they party. 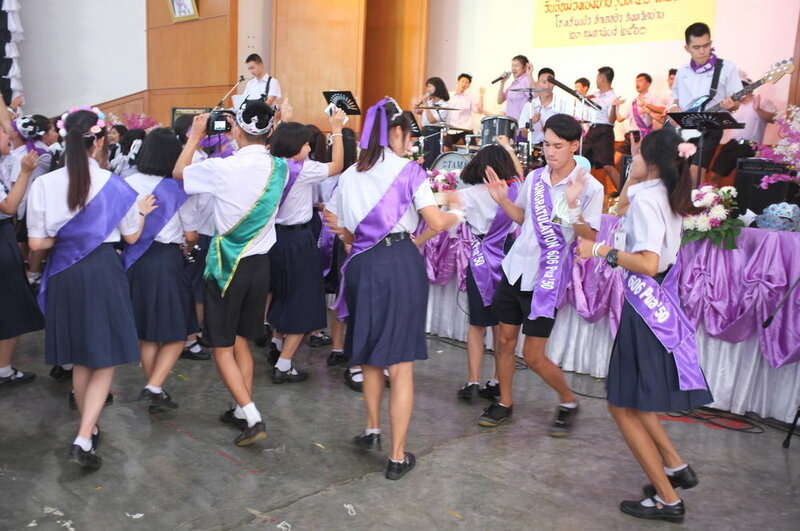 All day, students dance and take pictures with their friends. 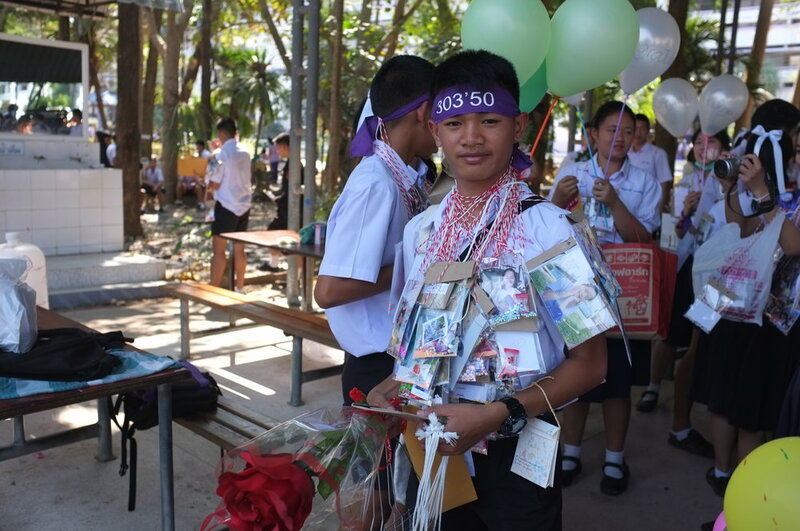 Rather than having a yearbook for friends to sign, students give out pictures of themselves with their social media accounts and contact information. No parents attended, it's just for the kids. They just hang out and have fun all day.